Contemporary and designer-look non-electrical pendant light shade with open top and bottom. 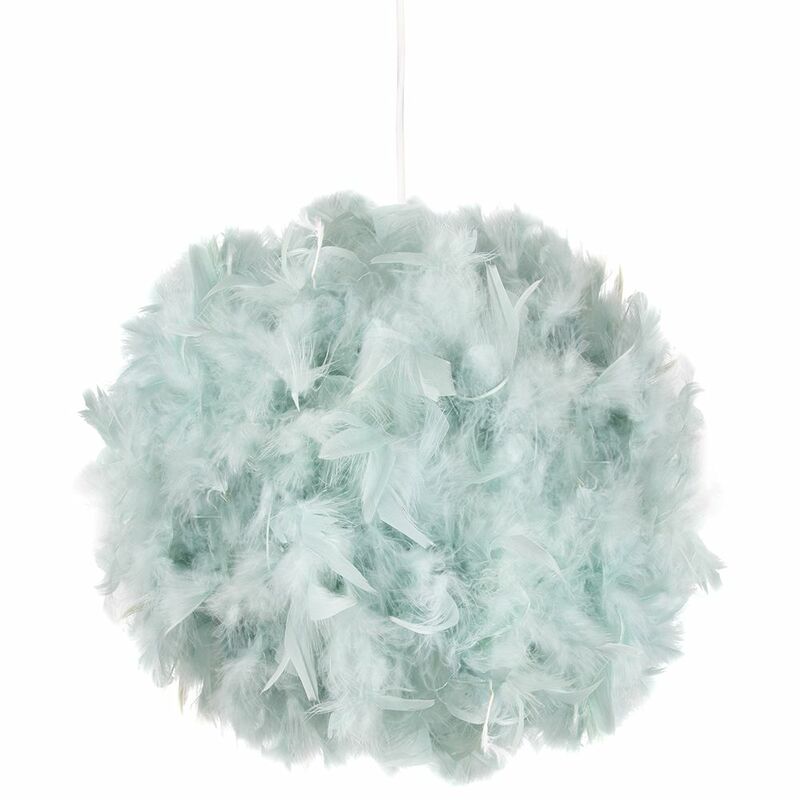 Features unique and eye-catching 100% real natural duck egg blue feather shade. Creates a stunning effect when the light shines through. The product dimensions are: Height - 20cm, Depth - 25cm, Width - 25cm. 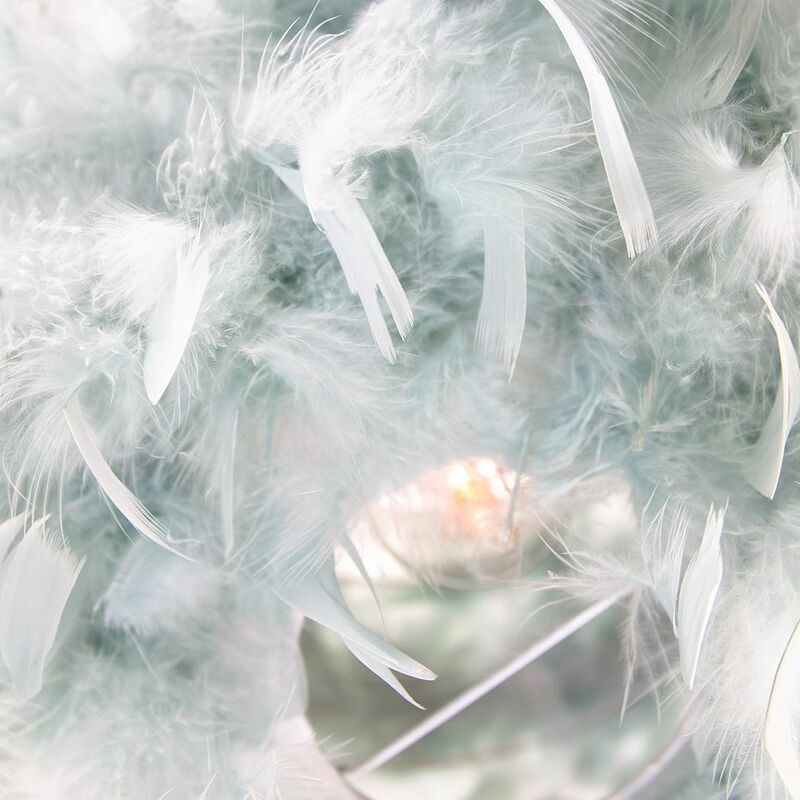 We recommend blowing the feathers with a hairdryer on a cold setting to fluff up the feathers after being packaged tightly for protection. Maximum wattage allowed is 40w. Please note that ceiling rose and cable is not included - pendant shade only being sold.